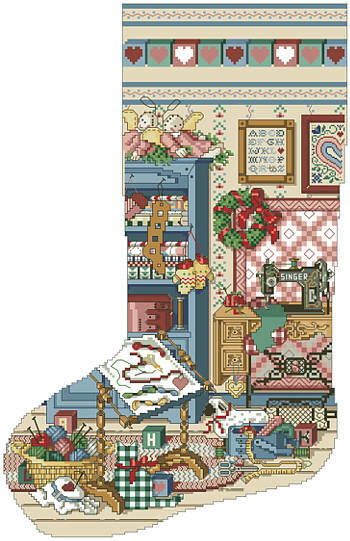 This stocking is another of our coveted Heirloom Stockings designed by Sandy Orton and is designed for the stitcher in your life! A stunningly detailed Victorian design that is perfect for the holidays! Kooler Heirloom stockings are wonderfully detailed with full and half cross stitches. Includes a full alphabet for customizing your family name. Contents: Stitch Count 136w X 205h, finished size on 14 count: 9-3/4" X 14-3/4"